I think it’s fair to say that Preston Innovations made their name in tackle for commercial fisheries. 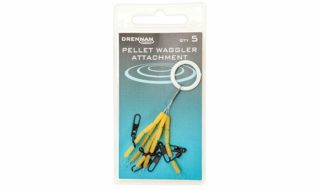 But they make plenty of quality gear for natural waters including with the famous PR range of hooks. 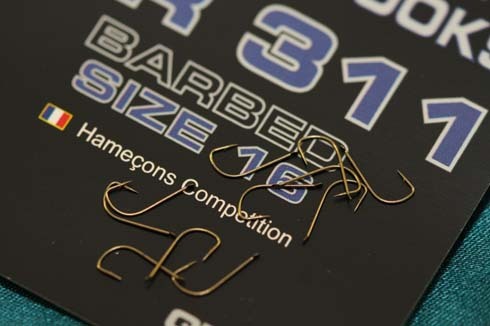 The PR Competition Match range of hooks includes these, the micro barbed PR311. This is a fine wire spade end pattern suited to delicate natural baits like bloodworm, joker, pinkie and squatt fishing for silver fish like roach and skimmers. Made from 110 carbon steel and featuring a strong crystal style bend, these Japanese manufactured hooks have quite a wide gape for their sizes and boast chemically sharpened in-turned points and have an inconspicuous bronze finish. 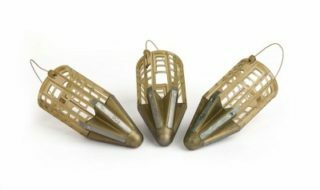 Also in the PR Competition range are the medium fine wire, nickel finish PR322, and the stronger PR333 and PR344 which feature a ‘beaked’ point. All boast a micro barb. The PR311 is available in sizes 14, 16, 18, 20, 22, 24. Expect to pay about £1.50 per pack.